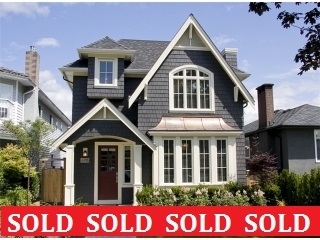 The British Columbia Real Estate Association (BCREA) reports that a total of 7,650 residential sales were recorded by the Multiple Listing Service® (MLS®) in BC for July, up 18 per cent from July of 2012. Total sales dollar volume was 32.8 per cent higher than a year ago at $4.09 billion. The average MLS® residential price in the province was $534,360, up 12.5 per cent from July 2012. "Home sales in the province posted their strongest July since 2009,” said Cameron Muir, BCREA Chief Economist. “After six consecutive months of rising consumer demand, it’s now clear that BC housing markets are recovering from tighter lending regulations introduced last year,” added Muir. "Rising home sales are unlikely to put any significant upward pressure on home prices,” cautioned Muir, “as the inventory of homes for sale is expected to keep pace with demand.” Many potential home sellers that have been holding off for improved market conditions are expected to put their homes on the market to meet the swelling ranks of home buyers. Year-to-date, BC residential sales dollar volume was down 2.8 per cent to $22.9 billion, compared to the same period last year. Residential unit sales were down 4 per cent to 42,986 units, while the average MLS® residential price was up 1.3 per cent at $531,928.